Where is it ? 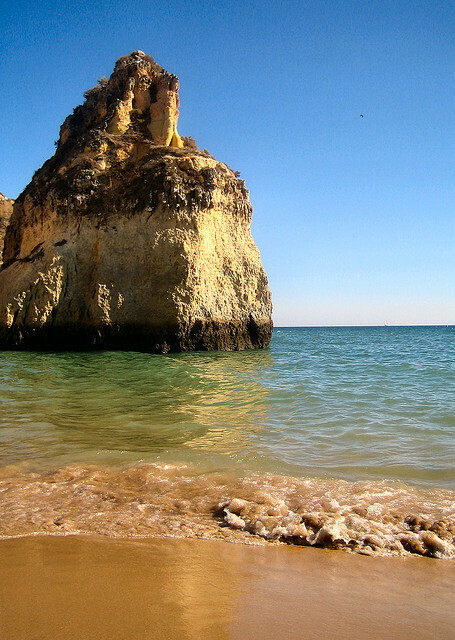 At the head of the Golden Triangle 15 Kilometres from Faro Airport about Twenty minutes by car. How big is it ? Almancil is a medium-sized working town and permanent home to about Ten thousand people. Who goes There ? The town of Almancil is not a traditional tourist resort but the surrounding area is popular with Villa owners and the two exclusive resorts of Vale do Lobo and Quinta do Lago are satellites of the town. What about food and accommodation ? Almancil has some excellent traditional Algarvian restaurants and as it attracts some upmarket guest from nearby resorts newly built bars are restaurants are targeting a more elite clientele. Located 13 km north-west of Faro and a straight run from Faro along the N125 Almancil is a market town and for some the poorer edge of the golden triangle of the luxury beach resorts of Quinta do Lago, Vilamoura and Vale do Lobo. The town is just off the main N125 motorway and is a bustling place with a good selection of shops and supermarkets. The village is also famous for its locally produced pottery, a glazed Blue ceramic you will see all over the Algarve known as Azulejo. Almancil is not the most aesthetically pleasing town and wouldn’t be an obvious choice of holiday venue. It is however a pleasant Algarvian town with plenty of life and if you are staying in a Villa in the nearby resorts you should head up here to get your shopping done. There is also an excellent range of restaurants for all budgets. The best accommodation is probably to be found in nearby Quinta do Lago and although it is notoriously pricey in the summer, during the off-season there are always bargains to be had. This part of the Algarve is branded as Sportugal by the tourist board and you are within a few kilometres of several excellent golf courses. San Lorenzo is often voted the best course in the Algarve and Quinta do Lago south has regularly hosted the Portuguese open. Apart from a 30,000 seater football stadium, Almancil is also home to the excellent Karting Almancil fun park. The track is modelled on the Brazilian grand prix circuit of Jacarepagua and has had many visits from famous racing drivers over the years. There is a selection of single and dual engine karts for those looking for more power. The park has lots of other facilities for younger children and is a great place for a family to spend some time.